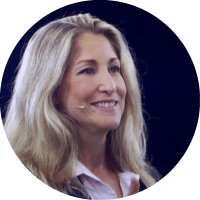 Tiffani Bova is the global customer growth and innovation evangelist at Salesforce. Recognized in 2014 as one of the most Powerful and Influential Women in California by the National Diversity Council, Top 50 Marketing Thought Leaders by Brand Quarterly Magazine in 2016 and Inc. Magazine’s 37 Sales Experts You Need to Follow on Twitter and a Top 50 Sales Influencer on LinkedIn. Bova is a highly sought after keynote speaker having delivered over 300 keynote presentations around the globe to over 300,000 people on sales transformation and business model innovation. A regular contributor to HuffPost, Harvard Business Review, Marketing Matters on Wharton Business Radio – SiriusXM and Forbes plus various industry leading podcasts on sales, marketing and digital business. Her new podcast “What’s Next! with Tiffani Bova” has become one of the top 100 business and marketing podcasts on iTunes in 2017, and won top Sales and Marketing Podcast by Top Sales Magazine. She has an upcoming book “Growth IQ: Get Smarter About Building Your Company’s Future” published by Portfolio coming out in August 2018. I have a bit of a unique background. I am both a sales, marketing and customer service practitioner, having run both start-up and Fortune 500 organizations, and a business analyst, having spent a decade as a Research Fellow at Gartner. The combination of those two very different perspectives has provided me insights others are less likely to have. Over they years, that unique point of view has allowed me to develop and share future thinking which resulted in others calling me a “thought leader” and “industry expert.” If others consider you an expert, it puts pressure on you to always make sure you are delivering on those expectations, adding value and pushing the conversation forward. As the saying goes, it takes a lifetime to build a good reputation, but you can lose it in a minute. I was an early adopter of MarTech solutions. As one of the Beta clients of Eloqua and Constant Contact and an early user of Salesforce.com back in 2000 it opened my eyes to the power of technology and the role it would play in the future of sales, marketing and customer service. Now, I am most passionate about the people side of MarTech. It is enabling and empowering brands to do amazing things for and with its customers especially around improving customer experience. The incredible benefits of technology are no longer reserved for (only) big companies with big budgets. Now everyone, from entrepreneurs to large, multi-national companies, who want to improve customer engagement and reach can do so. That’s exciting! I have always been a student of what I get to do each day. So I consume lots of content from lots of sources. I’m always looking for “What’s Next” not necessarily what is today, or what has been. I like to balance following both the practitioner side, those people who are ‘doing’ innovative and compelling things with technology along with the academic, analytical “thinkers”. That way I can get multiple, sometimes contradictory points of view to help me shape my thinking. OUTSIDE OF MARTECH WHO ELSE INFLUENCES YOU? I like business thinkers, could be those on the Thinkers50 list, to CEOs, to a marketing manager at a start-up who is testing new use cases of MarTech. I’m always on the look out for unique points of view. With so much content being produced, the trick is to keep up with it across all the various platforms and sources. Personalization at scale. Data Management Platforms (DMPs) to capture a single view of customers to improve CX. The usage of AI and Analytics to make better decisions when it comes to helping customers be successful with your product or service. Why those? The 21st Century customer demands a 21st Century (connected) experience. In my current role at Salesforce, as the Growth and Innovation Evangelist, I am fortunate that I get to do lots of different activities with companies around the world. There is never a shortage of exciting projects I want to participate in. The difficulty is finding the time to do them all.